“The first principle of my own philosophy,” wrote L. Ron Hubbard, “is that wisdom is meant for anyone who wishes to reach for it. It is the servant of the commoner and king alike and should never be regarded with awe.” To this he added that philosophy must be capable of application, for “learning locked in mildewed books is of little use to anyone and therefore of no value unless it can be used.” Finally he declared philosophic knowledge to be only of value if true and workable, and thereby set the parameters for Dianetics and Scientology. 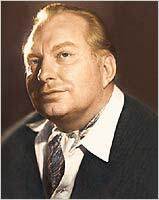 How L. Ron Hubbard came to discover these subjects is an immense story that effectively began in the first decades of the 20th century with his befriending of indigenous Blackfoot Indians in and around his Helena, Montana home. From here, the story unfolds with his study of Freudian theory with a Commander Joseph C. Thompson — the first United States naval officer to actually work with Freud in Vienna — and through journeys in Asia where Mr. Hubbard spent the better part of two years in travel and study.